The 1000mm Sliding Shower Door combines both style and practicality giving you the perfect shower door. This stunning sliding shower door has a bright polished chrome finish giving you that wow factor and ensuring it will coordinate with the rest of your bathroom. *Please note shower tray and panel are not included. See product options for further details. 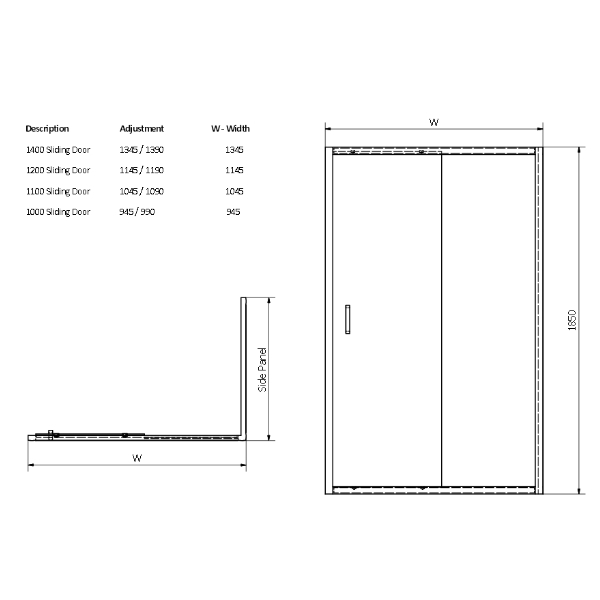 The Cassellie 1000mm Sliding Shower Door is covered with a Cassellie 10 year guarantee. The 6mm toughened glass feature on the Cassellie 1000mm Sliding Shower Door completes this deluxe showering solution. The Cassellie 1000mm Sliding Shower Door is designed with a stunning chrome finish, enhancing your bathrooms design and making this Cassellie 1000mm Sliding Shower Door, a truly eye catching piece. The Cassellie 1000mm Sliding Shower Door is designed so the position of it can be reversed; door can be opened from either left or right hand side.